For those of you who are interested in learning more about Marc’s newsletter please visit www.GloomBoomDoom.com. 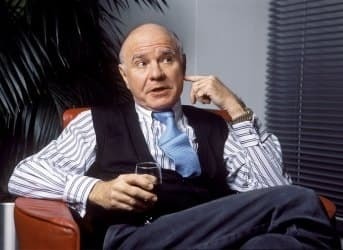 Marc Faber is fountain of Wisdom !! very rare person in the modern times . really modern Investment guru. Guru Mark is indeed a great all round guru. An interesting and stimulating interview. Look forward to the next one in 6 months. Keep it up James! I respect mr Faber greatly & hes been a visionary voice in re to the last decades econ expansionary dilution of the dollar & commidity rise. However, in re to Iran & nukes, I think he isnt factoring in the danger of Iran's irrationality. If Iran was a rational player only looking out for its sovereignity then I would agree w/ him. But their statements towards Israel, along w/ the fact that they have political leadership tied to strong muslim fundamentalism positions makes them a wild card to risky to deal w/ in re to nukes. Iran w/ nukes exponentially increases tensions in the middle east, even if they're outnumbered 100 to 1 in nuke capabilities by Israel. This is b/c of their irrational position of using a nuke for the sake of prophetic destiny. Not to mention their ties w/ terrorist groups who could be filtered dirty nuke material finding its way into usable suitcase nukes. I will grant Iran was cheated in the '50's w/ the installment of the shah, but we have to now deal w/ reality. If iran goes nuke, other middle east players friends and foes of iran will upramp also. Foremost, as mentioned before, Iran will have the capability, even if its suicidal to live out Koran prophesy & use nukes vs Israel. Irrational yes, but certainly something they could do. That is a risk too high to allow to go foward unless Iran gets new leadership & displays safeguards that such a position wouldnt be carried out. How can someone like Marc Faber believe the Keystone XL Pipeline will provide any "energy independence." The oil is intended to be almost entirely refined into diesel for export. Port Arthur is a tax free export zone, if any of the product finds its' way to our domestic market as gasoline, it will first be shipped to the UK for refinement into gasoline and then shipped back for US consumption. The upgrades to the Port Arthur refineries have been made to refine the heavy oil into diesel for export. It will probably actually increase gas prices here as current pipeline product goes to midwest refineries that do service the domestic market. They will be by passed when the XL project goes on line. So there may in fact be less product available domestically if the project is completed. Thank you Jeff. Your remarks are why I always try to read the comments. The interviewees & authors often have a 30,000 foot view. The experts always tell it like it is in the comments section. Amazing. This guy is supposed to be a guru no less, yet completely fails to mention global warming! Is he really unaware of the changes that it is going to force on us, even Americans? It cannot be too long before the people see through the bullshine put out by the likes of the Tea Party and become aware of the harm their children and grandchildren face. Powerful as she is, even America cannot break the laws of science. With 150 cubic miles of ice currently being lost anually (re. GRACE data), business as usual isn't an option. Perhaps that change to business as usual will include not listening to 'gurus' who are past their 'best before' date.